If you ask me, how to get the best blessing? I will tell you, no difficult, no need to far, one of the ever best blessing is here! 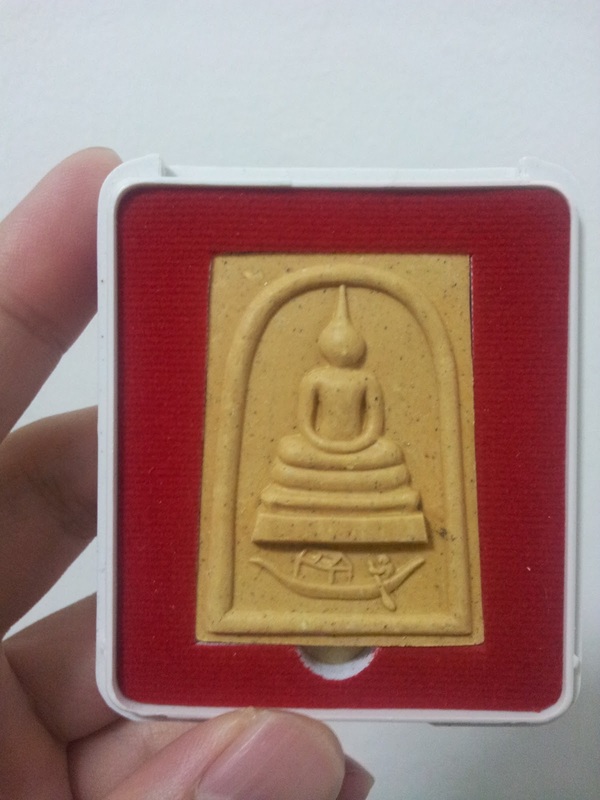 A beautiful powerful thai amulet phra somdej that suit everyone including woman, young babies and man. Behind contain one of the most powerful mantra ever exist in this universal. This mantra bring great powerful protection, great fortune and great luck!!! Chinabunchorn is one of the most powerful mantra, when the person chant/recite with mindfulness, with sincere heart, the mantra bring the blessing of gods/devas sacred ancient mandala.Thus, today, I recommend this mantra to everyone to chant, to wear and to keep in mind of this great mantra! As long as they can stamp this mantra to their mind, the mantra will bring strong blessing. This story said by Somdej To when he see in nimitta ( vision from sitting meditation ): One night Somdej To woke up, he have see a man who wear all white cloth. He is too beautiful to be any human in this world. He realize with wisdom that the man is not human, then he asked the man "Honorable sir, As i have see you in this place is really my good karma and honor. You have visit this place, am I doing anything wrong from the teaching of Buddha and if that's why you're here, can you please give me advise to lighten the teaching of Buddha. 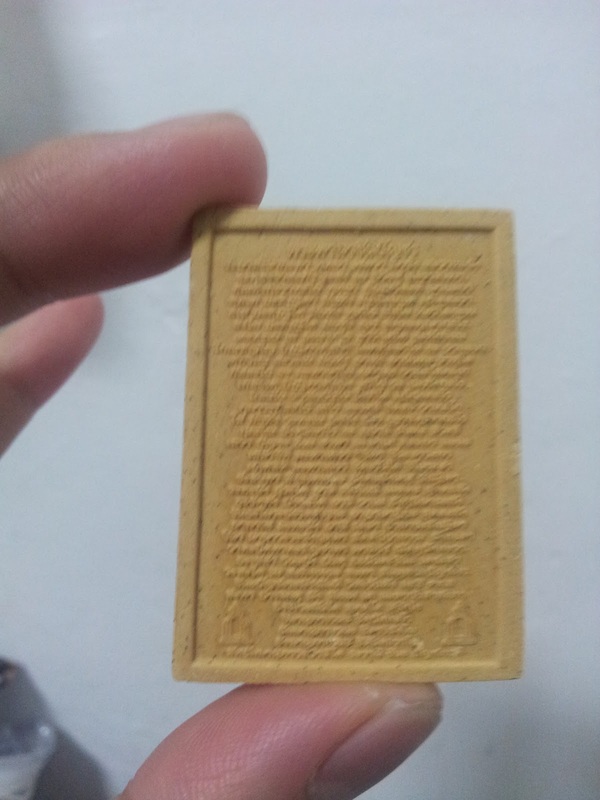 Aong Tao MahaPhrom Chinabunchara then said "Tarn To, your work here are similar to Phra SamanaKodom (Lord Buddha). But about how you plan to make amulets to be memorial for human, Once make, the things have to be good. Tarn To, you have believe in spiritual, then you should work with law of spiritual world. To put in the right way of ceremony when bless/chant." Somdej To then said "Honorable sir, I'm listen to any person opinion. If you are willing to help me. 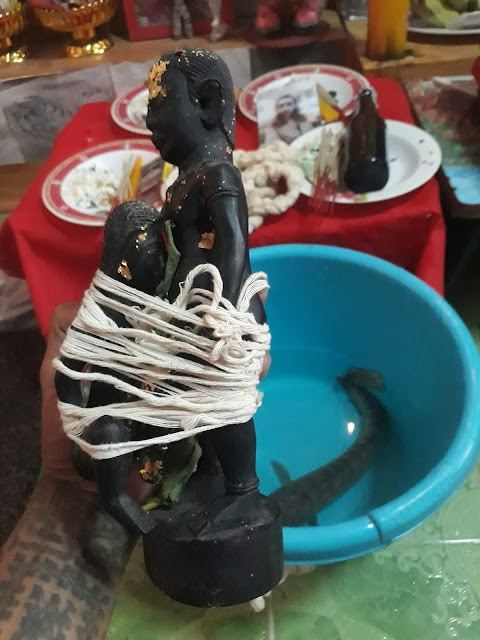 Please advise the way" Then Tao MahaPhrom Chinabunchara tell Somdej To about how to build the right ceremony, called "Teva Bunyud" or "Phroma Bunyud". In that time Somdej To have focus with full wisdom/mindfulness, before Tao MahaPhrom go off nimitta. Somdej To said "Honorable PhraPhrom, what is your name?. 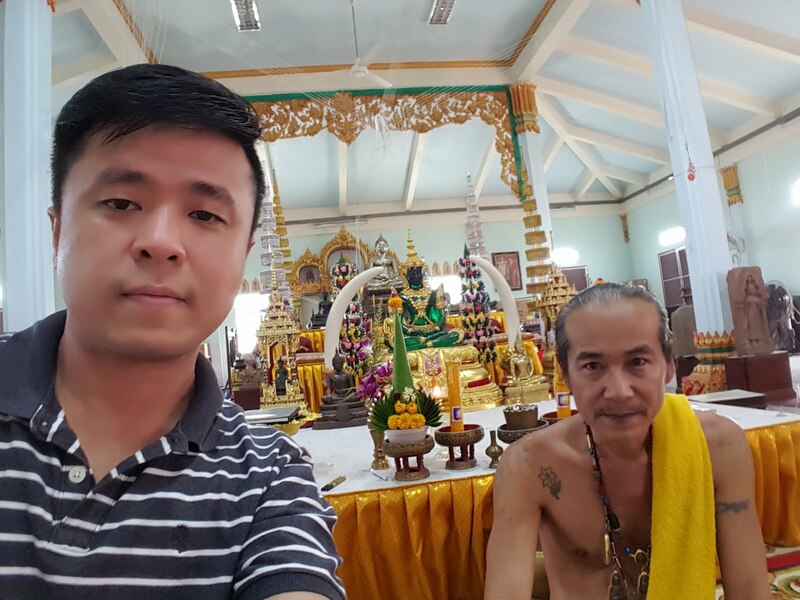 Aong Tao MahaPhrom then said "If you want help from me. I am a disciple of Aong Phra Mokalana(one of the first five disciples of Buddha). I had success to Phra Arrahun(success Dhamma and can go to nibbana, In Buddha time, there were only 7 novice monks who success and become Phra Arrahun) when i was 7 years old. But because I have leave my human body before the right time. 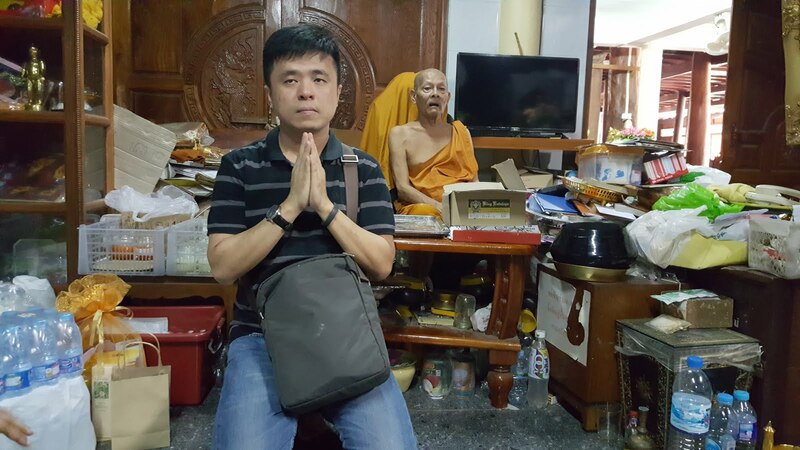 I can not go to Buddhaphoom (where all Phra Arrahun will go to after life, then will nibana). I have stayed in Phromalok (class of heaven where Phra Phrom stayed). That's all reason because i don't want woman, i hate woman, as they will brake my Phromajaree(virjin). That is why i leave my human life before the right time, In spiritual world called this "died before the right time", then i have to stayed in Phrom image. If Somdej To want help from me, then think of CHINABUNCHARA". Later times, whatever Somdej To planning to do, when Somdej To think to Tao MahaPhrom Chinabunchara. He suddenly appear, to help in ceremony etc. That make all Somdej To's amulets stay powerful until these day even Somdej To leave his human body from this world. Later times Somdej To create the last batch of Phra Somdej amulets 84,000 Phra Dhumakhun(amount) called "Phra Somdej Ittijay. Somdej To have translate katha from "Sing Hon" scrolls, the meaning is the name of 18 Phra Arrahun. Somdej To have renew it, so make easier to pray. 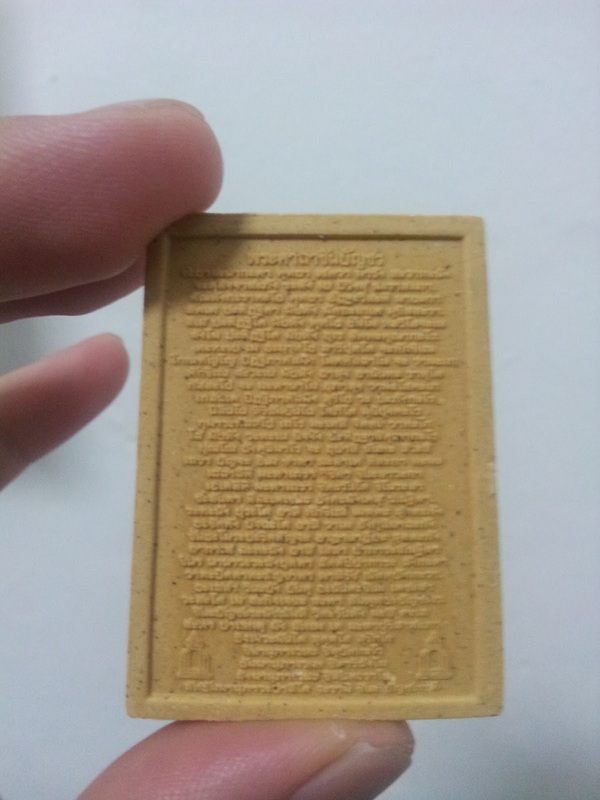 This katha is "CHINABUNCHORN" which is the same name to Tao MahaPhrom Chinabunchara. Somdej To used this katha for sitting meditation, bless/chant ceremony all the time as he respect Tao MahaPhrom who alway visit and help him many times. Somdej To said that "Who pray with CHINABUNCHORN katha everynight, they may not fall down to Abaiyaphoom(One place of Hell, Buddhaphoom is opposite place where Arrahun go). If who have this Katha to pray at any place, this will protect all harmful cause. To pray with any other Katha for 100 years, will don't have as much Arnisong(good karma) as pray CHINABUNCHORN katha. 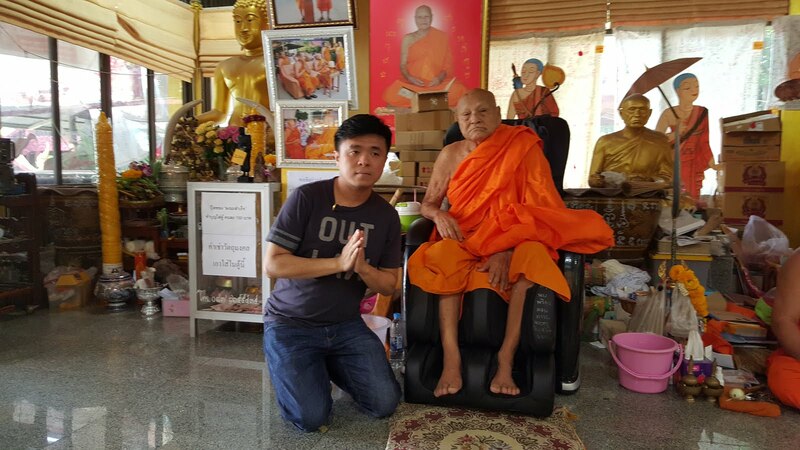 When i was living in human body, King Rama 4th heard i pray this Katha, Then King Rama 4th order all the people in Palace to pray this Katha and remember to their heart for a good bless to prayer." This CHINABUNCHORN katha, when pray will best protect prayer fortune, can use bless/chant any amulets. Or any purpose prayer focus their mind to. 6) Greater health, better wealth, great fortune will flow into your life. I cannot finish describe the endless blessing and benefits of this mantra. Everyday, the monks in the temple has to chant this as their daily practise. 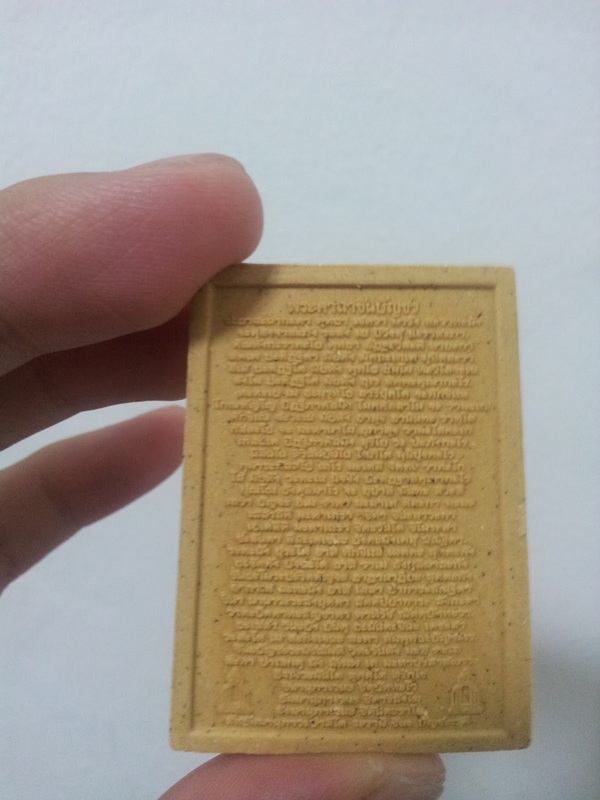 Now, this mantra is behind this thai amulet. Endless Blessing starts to shine on you when you start having this! Don't look too far for happiness! The happiness and blessing is right in front of you!